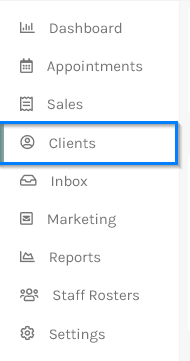 From the left hand menu click on the name of the client you want to check the status of the SMS for. Once you have selected the relevant client, click the Communication tab to see the SMS history. 30001 Queue overflow You tried to send too many messages too quickly and your message queue overflowed. Try sending your message again after waiting some time. 30002 Account suspended Your account was suspended between the time of message send and delivery. Please contact You’reOnTime. 30003 Unreachable destination handset The destination handset you are trying to reach is switched off or otherwise unavailable. 30004 Message blocked The destination number you are trying to reach is blocked from receiving this message (e.g. due to blacklisting). 30005 Unknown destination handset The destination number you are trying to reach is unknown and may no longer exist. 30006 Landline or unreachable carrier The destination number is unable to receive this message. Potential reasons could include trying to reach a landline or, in the case of short codes, an unreachable carrier. 30007 Carrier violation Your message content was flagged as going against carrier guidelines. 30008 Unknown error The error does not fit into any of the above categories.